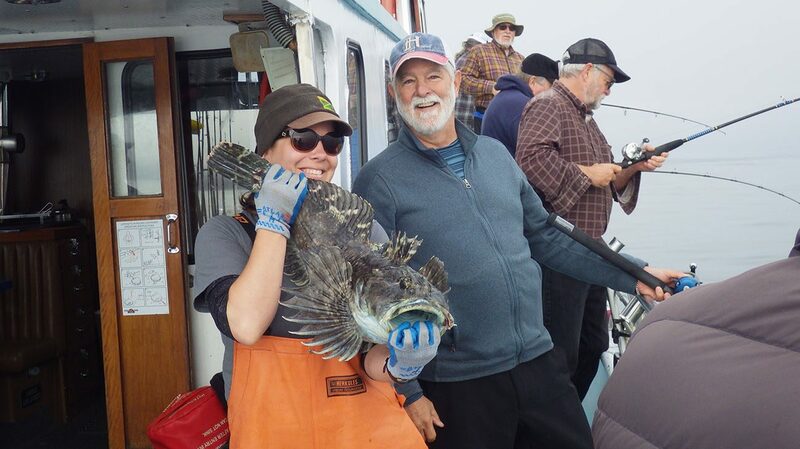 We had another successful year of hook and line surveys at Cascade Head and Cape Perpetua in 2018. Our annual FishOn! 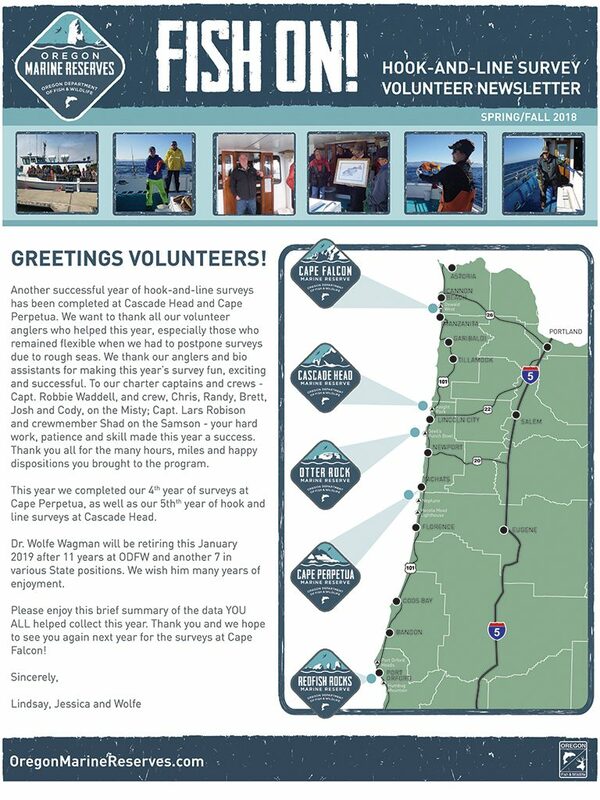 Newsletter highlights all the science and data our volunteers helped us collect this past year, including more than 2,000 fish caught and sampled during our surveys. Click the image below to see more photos and highlights, and to learn about our new oceanographic sampling that’s helping us detect and understand changes in oxygen levels in the ocean – including hypoxia (low oxygen) events. Next year we’ll be surveying up at Cape Falcon. Expect to hear from us in April as we start our spring hook-and-line surveys for 2019.